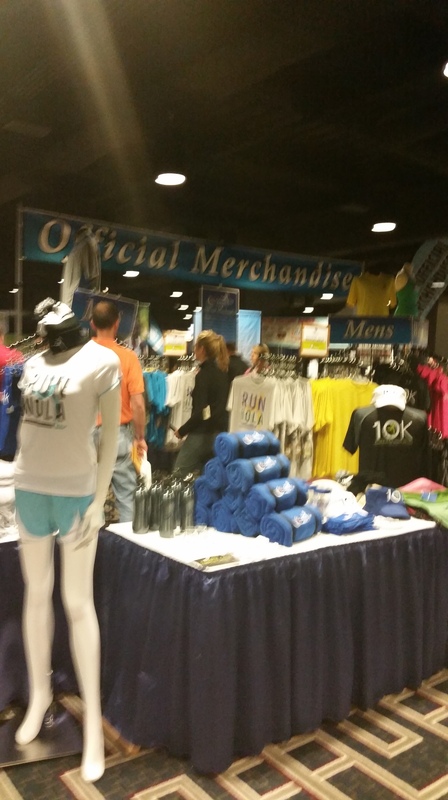 You can often judge the success of a race based on their expo and vendors. Usually for a 10k you don’t expect much of an expo, or even one at all. It’s usually pick up your race packet and t-shirt and then “See ya at the start!” Let me tell you, NOT with the Crescent City Classic 10k expo. They have an expo that rivals most half and full marathon expos I’ve been to! The expo is held on the Thursday and Friday before the race at the Hyatt Regency in downtown New Orleans. It’s a gorgeous and HUMONGOUS hotel. Thankfully they have signs pointing everyone in the right direction of I would have been lost and attending some banker convention. I was already working downtown on Thursday, so I decided to just pop over that afternoon and walk through the expo and grab my bib. One of the things I love so much about this expo is that they really promote the local businesses and running community. 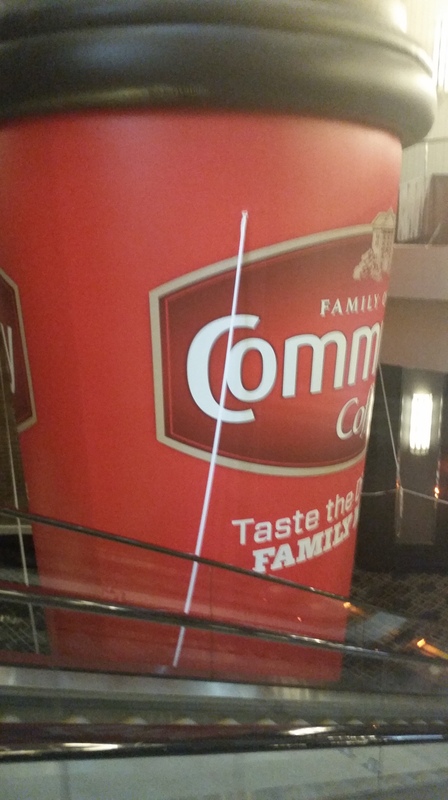 As we were riding down the escalator to the expo there was a HUGE Community Coffee blow-up coffee cup. Ahhhh…coffee. That might just hold me over for the day. Ha! There were good signs directing you right where to go to pick up your race bib. It was so quick and easy. I even picked up two other bibs for friends by proxy. All they needed was my ID and the email print out from my friends so they could look up our names. They found our corrals (sorted by color) and issued me our bibs. (Yes, I was a dork and forgot to take off my work lanyard). 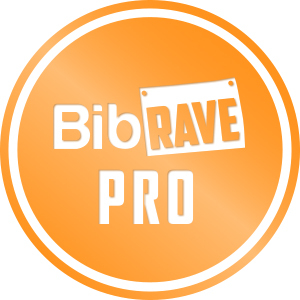 Once I received by bib I turned the corner to the fun! Varsity Sports and Brooks Run Happy were there with all the fun Brooks games and SWAG. Community Coffee had a huge set-up with free coffee, a mega Keurig machine and coupons and free k-cups. I grabbed…well, let’s just say, a few. Blue Runner was there handing out samples of their red beans and rice and Michelob Ultra was there handing out BEER!! Yes. I said BEER!!!! 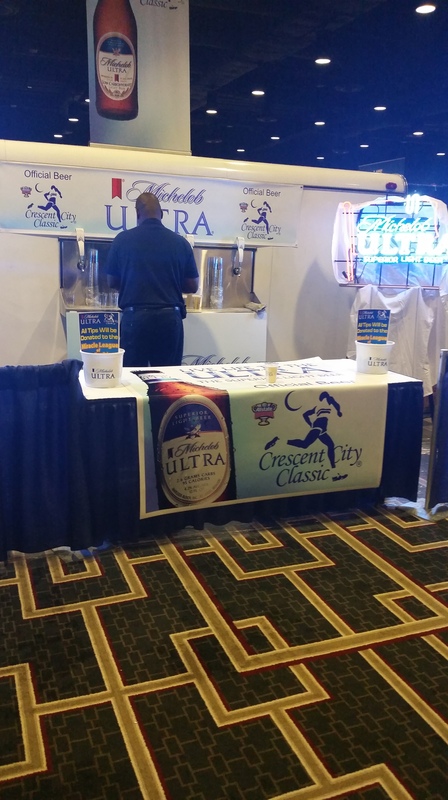 Only in New Orleans….beer AT the expo. They strategically placed the t-shirts so you had to walk through all of the merchandise to get your shirt. Nice job guys. Ya got me for a pair of sunglasses and a couple of t-shirts! 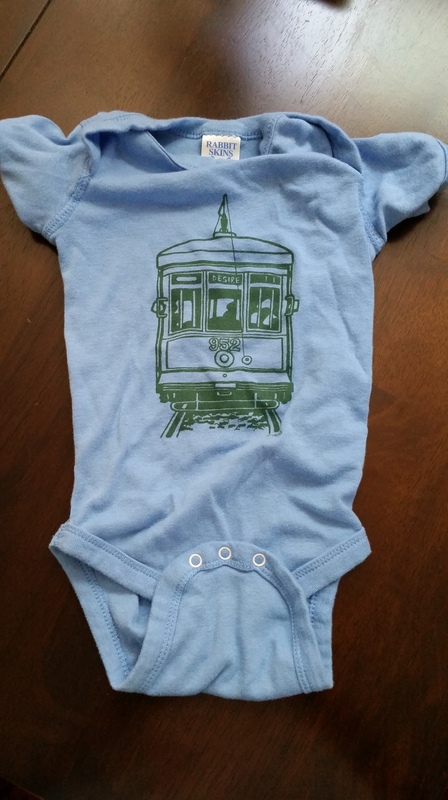 I got this super cute onesie and matching tee for me from Nola Girl. 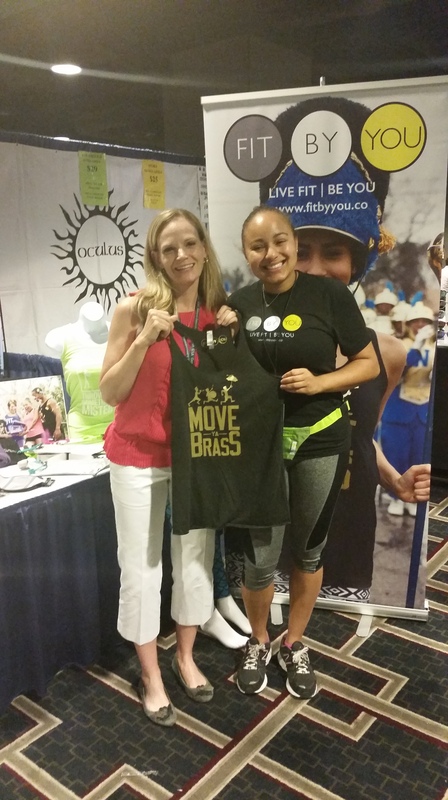 And I also got to meet Robin and snag one of her uber cute tanks from Fit By You. Isn’t she just adorable!!! So sweet too. 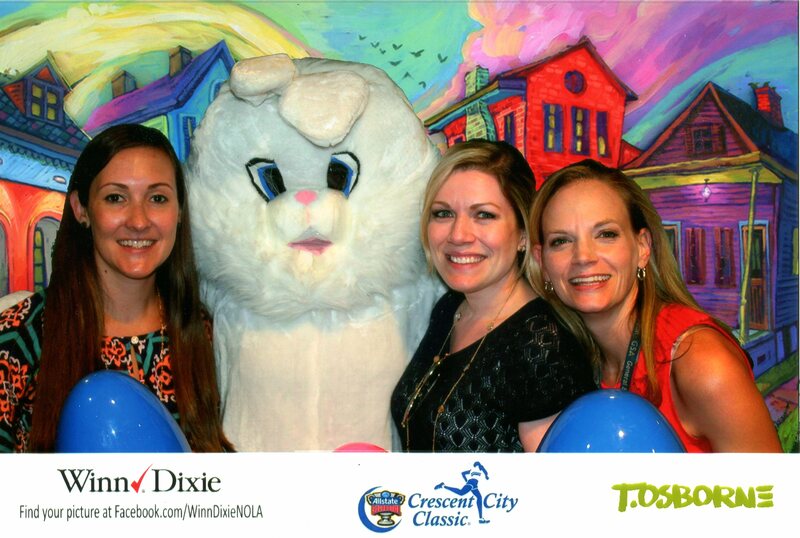 Towards the end of the expo Winn-Dixie had a whole wall set up of freebies to try and you could even take a fun picture with the Easter Bunny! (Not exactly sure which camera I’m looking into but my friends look lovely). Some of the other local vendors there included Dirty South Running and CHRONOS Body, Health, & Wellness Spa (I want a Mother’s Day package there please!). 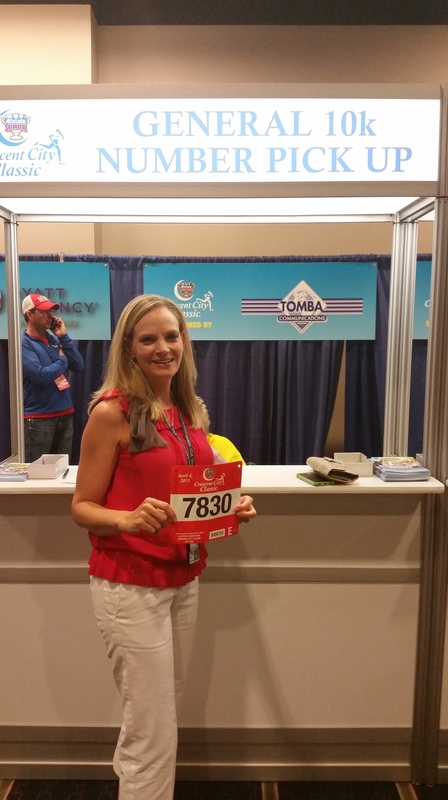 Many of the local half and full marathon race organizers were present as well, often offering a discount for race sign-up at the expo. I didn’t have time to stay and listen to any of the speakers they had scheduled but there were some great topics for runners. Sad to say, I missed the second line on Friday at the expo. It looked so fun! 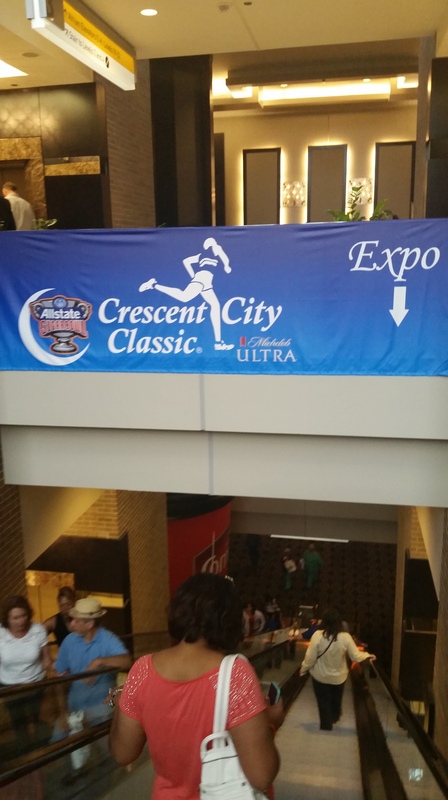 All in all it was an excellent expo and just one more reason why I love the Crescent City Classic.